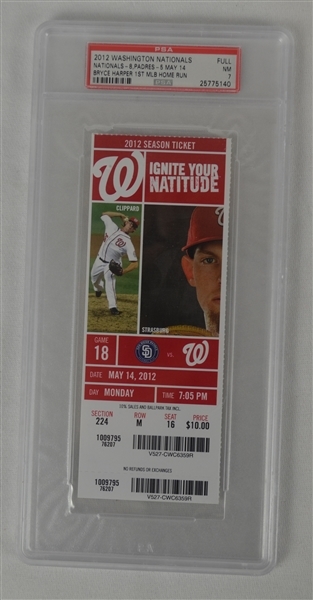 This lot features an actual ticket from the game in which Bryce Harper hit his 1st Major League Home Run. The game was played in front of the Washington Nationals fans on May 14th, 2012. Harper swatted 22 HR's during his first season in the big leagues at age 19. He is a mega star in the making. 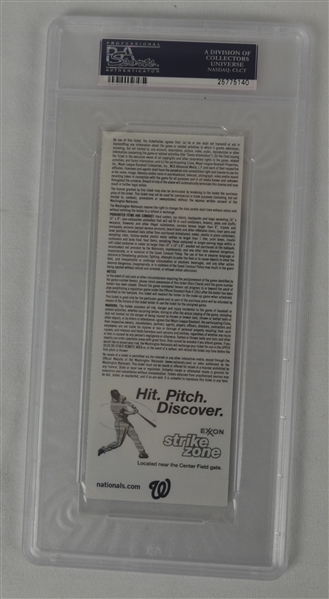 The rare ticket has been professionally authenticated, encapsulated and graded a NM 7 by PSA.